What happened, of course, was Germanwings 9525. At the time all that was known was that an Airbus 321 carrying 150 people had crashed into the Alps. Soon enough details began to emerge, but how strange they were: a 24-year-old aircraft, en route from Barcelona to Dusseldorf, had climbed to its crusing altitude of 38,000 feet and then, within a matter of minutes, begun to descend at 3000 to 4000 feet per minute, apparently fairly steadily and while remaining on course, until it crashed eight minutes later into the French Alps. The flight crew issued no distress call. I’d never heard of anything like it, but as the conversation developed online, some parallels emerged. Foremost was the case of LH1829, which took off from Bilbao last November and began an uncommanded descent of some 4000 feet per minute after the flight management system became confused by frozen angle-of-attack sensors. In that case the pilots communicated with technicians on the ground and figured out how to solve the problem before a great deal of altitude was lost, but perhaps yesterday’s pilots had tried to tackle the issue by themselves and gotten too absorbed by the challenge to realize how much altitude they were losing, a la Eastern Air Line Flight 401? Some speculated that a sudden decompression might have caused the tragedy. There have certainly been incidents in which aging, inadequately repaired aircraft have suffered catastrophic failure of their pressure hulls, leading to destruction of the plane, but those don’t generally look like this–the plane either breaks up at altitude or the pilots are able to don oxygen masks and keep flying the plane and communicating, if only for a while. Another possibility–one hesitates to raise it in today’s climate of fear–is that a hijacker attempted to take control of the cockpit. I don’t think we can rule this out, either. At this point, frankly, none of these scenarios make a great deal of sense, and I think the overall sentiment among people who spend a lot of time looking at this sort of thing is bafflement. “I’m at a loss,” one veteran 777 pilot emailed me yesterday. I think that about sums it up. Hopefully, the recovered cockpit voice recorder will provide some clarity. Given the latest information, the default scenario going forward will be that Lubitz commandeered the plane in order to commit suicide. However, I think it’s important to resist the tempation to consider the case closed. Indeed, the investigation has only just begun, and hopefully a good deal of information remains to be pieced together (though hope seems to be fading that the Flight Data Recorder will be usable). Though the weight of evidence may seem overwhelming, I still find it strange that a suicidal pilot would prolong his own agony by descending at a relatively modest 3000-4000 fpm instead of just pointing the nose straight down, as the pilots did in the other apparent suicide crashes such as EgyptAir 990 and SilkAir 185. The case most similar to Germanwings 9525 is probably that of LAM Mozambique Airlines Flight 470, which crashed in 2013 while en route from Mozambique to Angola. The plane had climbed to its cruise altitude of 38,000 feet when it began to descend at a rate of about 6000 feet per minute. Six minutes later, it impacted the ground, killing all aboard. Data from the black boxes revealed that the captain locked the co-pilot out of the cockpit and changed the autopilot settings to initiate a descent. I haven’t seen any reporting explaining what might have motivated the captain to do this. Today is a sad day. We who have held back from condemnation don’t have much, if anything, left after reading the FO’s i-pad search history showed “how to commit suicide” and “cockpit doors”. Until this news came out, it was easier to think the prosecutor’s job is to prosecute and something uncontrollable such as a seizure had overtaken the poor copilot whom in death can’t possibly defend himself. The search history discovery reminds me of Casey Anthony whose mother took the fall for searching chloroform, but not Andreas, a full grown adult who lived away from home. The conspiracy theorists are saying this event was a false flag, a warning to Germany to stay away from Russia. Yeah, right. It was a sole sociopath who planned ahead his murder suicide. But it is devastating for the Germanwings brand and impact Lufthansa for years to come as well. Huge payouts to families is one thing, image is quite another. SSRI antidepressants might lie at the heart of this tragedy. I’ve now collected a pile of ACARS data, and here is a summary so far. 1. ACARS utilizes a number of frequencies, all much lower than SSR. The primary one is 131.55 Mhz, but there are several others in use as well. 2. It’s low bandwidth – 2400 baud – about 400 times slower than Mode-S. Consequently it can be played over a speaker. In fact, the earliest hobby ACARS decoders would use a microphone to pick up audio from an analog receiver and feed it to a sound card for digitization and decoding. 3. When it comes to aircraft identification, there is a near-total disconnect between ACARS and Mode-S. ACARS messages include aircraft tail number (e.g., 9M-MRO) and the IATA version of the flight number (e.g., MH370) whereas Mode-S transmissions include the squawk number (assign by ATC), an aircraft ID (regulated by ICAO), and the ICAO version of the flight number (e.g., MAS370). The IATA and ICAO airline designations match loosely at best. Only the numerical part of the flight numbers match, and only then if you drop leading zeros. 4. Message contents can be just about anything, and I haven’t decoded much yet. At one time we were wondering whether the route in the FMC for MH370 had been broadcast in the 17:07 message. I don’t see it in the FactualInformation report, Appendix 1.9A, but I have seen a few messages (from United and American Airlines in particular) where portions of the route are, indeed, broadcast (usually the next 3 waypoints). So I now think that the phrase “normal routing to Beijing” for MH370 really meant that the route up to that point was routine. You may not be far off re: nitrous oxide. I’m not sure what “mix” of oxygen would be in the tank, but pure or nearly pure oxygen would produce feelings of euphoria. @sk999, Really interesting. Thanks for moving the ball forward. Doesn’t TCAS between aircraft function via aircraft transponders interrogating each other as to position, no reliance on ATC? It will be very interesting to learn what Andreas L. had in his system. Some brands of antidepressants are said to be responsible for a higher suicide rate. But they don’t lead anyone who never contemplated suicide to become suddenly suicidal. It’s more like this: someone who is in a deep depression with suicidal thoughts might not have enough energy to plan and go through with it. When they get medication it might ironically be their effectiveness which activate some susceptible people enough to be able again to make plans and to go through with them. Some decide that this period in their life was so terrible that they never want to live through this again. That’s when they are most vulnerable. The problem with anntidepressants is that they never help immediately; it taktes 2-4 weeks until they are completely effective – even if they are the correct medication for that individual patient. A good psychiatrist knows that of course. And he might recommend special monitoring. That’s one reason for keeping pilots grounded in that period. 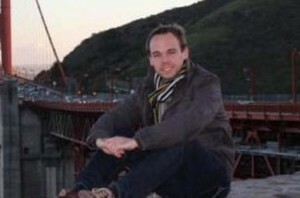 In Lubitz’s case it’s not even clear if he took his medication. The prosecutors said there are hints that he might not even have taken his medicines. I hope they have recovered enough of his remains to run some tests. How does VictorS’s data compare with the FDR data? 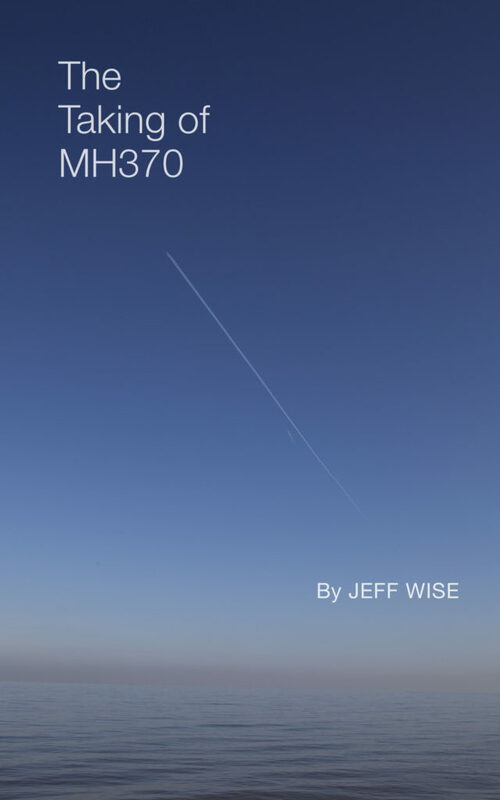 I think it was said earlier on this site that this data shows that a person–probably an inexperienced one–was in control of the plane right up to the impact. Look at the ROC graph. @sk999: Please ignore if you are the author of dump1090, but there is already an ADS-B decoder for rtl-sdr USB tuners. Perhaps you can help improve it for other SDR avaition monitoring enthusiasts? Turns out I misconstrued the documentation regarding Mode-S Downlink Format 20 (DF-20) – it contains a message block (MB) that contains data taken from any one of a number of registers in the transponder. In practice there are six registers that are utilized – three for Elementary Surveillance (ELS), and three for Enhanced Surveillance (EHS). The “Vertical Intent” message that is of interest for 4U9525 is one of the EHS registers. Rather annoyingly, the data formats do not contain any field that identifies which register they are from – that information is contained in the query from the radar operator that triggered the DF-20 message in the first place. At best one can look at the pattern of bits to determine which register is the best match. From what I can tell EHS is used mainly in Europe. My review of DF-20 packets from here in the US shows no evidence of them. The idea is that if you can know both airspeed and heading along with ground speed and track, you can extract the wind velocity at the altitude of the aircraft. Add in mach number and you get the temperature. It’s a low-cost radiosonde! Nervous_flyer – yyes, I am using dump1090, which is a great program but doesn’t decode every field of every packet, so I am poking around to see what is left to be uncovered. @littlefoot – I have seen it in some relatively reputable sources, although more on the European side of things that have been reporting it. @jeffwise – agreed, I would be breathing whatever was going to make me not think about the awfulness that was about to occur..laughing gas all the way….and I have heard that pure oxygen can create sensations of euphoria although I’m not aware of what mix is used on the airplanes – I would assume it wouldn’t be pure oxygen though due to hyperoxia/central nervous system toxicity. Very perplexed and curious as to a) how they know he put on an oxygen mask and further, why he would do such a thing. Glad I’m not the only one who was wondering about it! The US compliance date for ADS-B Out is Jan 1 2020 whereas Europe was aiming for end of Dec 2017 (recently delayed to 2020) so that may explain the low volume of ADS-B traffic you are logging. Here in the Britsh Isles, I have noted more aircraft, typically turboprops, appearing on flight tracker sites using ADS-B in the last 12 mths. With the tech you’re using I believe you are limited to “plain old ACARS”, ie VHF over analog modems in the voice channel, rather than VHF digital datalink. Considering MH370, the APAC implementation for ADS-B is not comprehensive. There is nothing analogous to Eurocontrol in the region, while multi-lateral cooperation is facilitated by the ICAO APAC office in Bangkok but the participants aren’t bound to implementation. Malaysia is notably lagging its neighbours such as Vietnam, Indonesia and Singapore for next generation technology implementation. If the US is going to meet the 2020 deadline for ADS-B, it has a long way to go. I’ve been matching up what I see with FlightAware and FlightRadar24. Indeed, we all see the same planes, but most of them don’t have ADS-B. E.G., yesterday I watched an international overseas flight from London arrive – a Boeing 767. No ADS-B. FlightAware relies on the FAA ASDI feed (with a 5 minute delay) to fill the void, while FlightRadar uses the same feed plus multilateration to provide a map that is much closer to realtime. FlightRadar also provides the aircraft ID and squawk number (if available) for individual flights, which makes it much easier to match up what they see with what I see. With a bit of effort, I suspect my “tech” could pick up VDL, but a check of the local frequency doesn’t show a lot of activity, whereas “plain old ACARS” is still hopping. Anyway, I’ve now decoded the major ADS-B message formats, and my first reaction is, “What a mess!” (This is a reaction to the entire Mode-S protocol). There must be 5 or 6 ways to encode an altitude. There are two ways to communicate a call-sign. Some packets include the aircraft ID as a part of the message – other packets entangle it with the CRC check. Some packets can be decoded stand-alone. Others require knowledge of adjacent packets, while still others cannot be decoded without knowledge of the interrogation packet from the SSR “sensor”. And this is one of the key systems we rely on for aviation safety? ADS-B is mandated and operational in a number of regions: Australia above FL290, also extends into Indonesia FIRs; a number of specific airways in Singapore, Vietnam & Hong Kong FIRs; Hudson Bay, Canada. The ground infrastructure must be in place in the US & Europe as equippage is now mandatory for new aircraft deliveries. Adoption is getting there. Retrofitting into existing aircraft is a costly exercise. Interesting article at Aviation Week discusses “Forensic Mining With ADS-B” – in particular how flightradar24 was able to extract the packets showing that the autopilot commanded altitude was changed from 38000 feet to 96 feet. The packet had to be pulled from the receivers operated by volunteers near the French Alps, since it is not automatically uploaded to FR24’s servers. Unclear if European ATC had its own copy. ALSM and VictorI both noted oscillations in the rate of climb/descent on both the climb out of Barcelona and the final descent of 4U9525 and wondered about their significance. I am now able to record ADS-B data and extract altitude and rate of climb information for flights in the neighborhood. From what I have seen so far, there is no single typical profile, but “oscillations” of over 1000 fpm in either direction are a common feature, even for flight profiles that seem to otherwise be smooth, continuous climbs or descents. I am using the broadcast “Vertical Rate” for ROC – haven’t tried to take the numerical derivative of the altitude v. time profile, but the two match up by eye. The maximum rate on climb out is over 3000 fpm, while the maximum descent rate is about 2000 fpm, but more commonly 1500. 4U9525 had a mean descent rate of about 3500 fpm – easily something the passengers and crew would have noticed. @sk999, So fascinating, thank you. More stuff. ADS-B has its own version of “Vertical Intent” – it is message type 29, and it dumps the contents of register BDS 6,2. Both Target Altitude and Target Heading/Track intent are in the message. My 1/2 hour cache of data packets shows 2 planes out of 90 sending these messages. One is a B-787, the other an Airbus A320 operated by a bank famous for its stagecoaches. Still need to check if the messages actually make sense. Seems like a technology for the future. So Downlink Format 17 (ADS-B), Type 29 (Target State and Status) has two subtypes – 0 and 1, which have different formats and content, and both are in use today. Documentation for subtype 0 was straightforward to find, but documentation for subtype 1 eluded me for over a day, and in the end found it in a 1000+ page file from either 1 or 2 years ago, which I would be hard-pressed to find again. Subtype 1 adds pressure information to vertical and heading intent, which now makes it more useful than the DF-20 EHS message type picked up by flightradar24. Anyway, I can decode the numbers, and they all look reasonable for the few aircraft I found using it. In one case the altitude intent matched the actual behavior of the aircraft, while in another case it was a bit wonky. The remaining flights were all at a level altitude, and the “intent” matched the actual to within round error. I’m wondering if anyone can point me to a source for expired ICAO NOTAMs…? I keep poking around the northern route, particularly along the western border of the URUMQI FIR, and China’s active NOTAMs about additional restrictions around SHACHE (113.3 SCH) and HOTAN (113.1 HTN) caught my attention. I’m curious to know how (if) any of the nations thereabouts responded in the first hours/days after the disappearance was announced — before they could know whether any of their neighbors WOULD report having seen the aircraft… while they knew their own proverbial pants had been down (a la Indonesia). Is there any “wayback machine” or otherwise searchable archive of the NOTAMs that were created on the day of the crash, and since? Previous Previous post: New York: How Crazy Am I to Think I Actually Know Where That Malaysia Airlines Plane Is?